Either grill or broil chicken breast and baste with teriyaki sauce. When the chicken is completely cooked place one slice of pineapple on top and cover with one slice of provolone cheese. 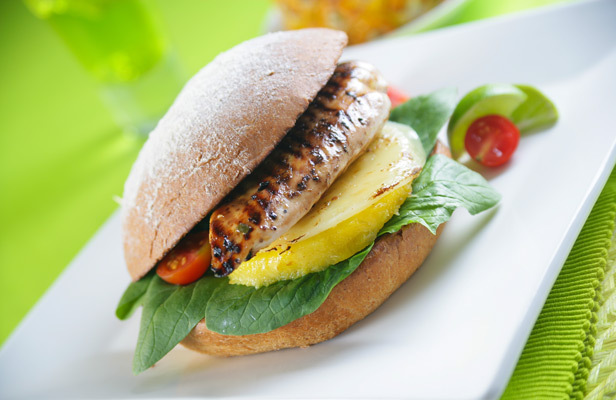 When the cheese is melted, transfer the topped chicken breast to the whole wheat roll.